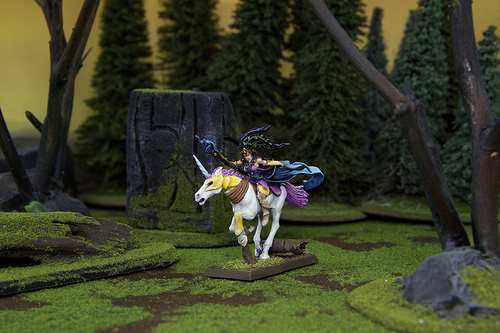 Trade in or buy new on sprue and pre-owned Wood Elves Miniatures from our web store. Blue Table Painting will always have the most unique and game changing models out there. Take a look at our huge catalogue and start building your army. Core Units- Glade Riders, Glade Scouts, Eternal Guards, and Dryads. Impressive long ranged bowman, sneekily clever dryads, and graceful elves who almost seem to flow through the trees themselves. Special Units- War Dancers, who wear no armor and are immune to psychological power. Warhawk Riders, Sweep through the battle field atop a giant hawk. Tree Kin- They have attached themselves spiritually to dead trees and are able to animate them in danger.